In today's world of regulatory credit environment, lenders face many challenges in adapting to the rapidly changing marketplace, which includes some stringent requirements such as borrower qualifications, constant compliance updates, etc., thereby increasing the complexity of the process. This is coupled with a rigorous oversight by regulators, especially after the market crash in 2009. Outsource2india provides high-quality review and professional audit support services which help to streamline the entire process of mortgage post-closing for global lenders. Our timely reporting and accurate audits ensure that your operational costs reduce significantly when you outsource your back-office requirements to us. Our specialized team of auditors and mortgage underwriters work on your loan application documents before they are sent to the service providers, while ensuring quick, on-time delivery. Our team at Outsource2india assembles the entire loan package by compiling all the necessary documents after a successful loan closure. These include various notes, trust deeds with riders, necessary addendums, final GUD1 with signatures, etc. Our executives work closely with title companies and brokers to review post-closing loan packages to save you valuable time and close loans within a short period. The data integrity audit or mortgage loan audit is a critical step in the mortgage post-closing process and is mainly done to address any kind of loan deficiencies. This step includes different processes such as addressing any red flags from the underwriter, owner occupancy verification, etc. 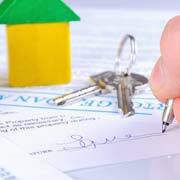 Our team registers all loans which are approved with the Mortgage Electronic Registration System. We can register MERS as Original Mortgagee (MOM), Non-MOM Loans (by assignment), and MERS iRegistration which enables companies to choose for loan tracking services and fraud detection at cost-effective rates without recording MOM. We use top-quality auditing systems and processes to provide support for mortgage audit services. These services covers post-closing, servicing, pre-funding, compliance, cancel / reject, fraud investigation, commercial loan audit, QC plan preparation, etc. Our post-closing audit sampling can be fully customized to suit every client's business requirement. We have the expertise to audit almost all kinds of loan files including sub-prime, non-conforming and conforming loans, reverse annuity, subordinate lien, etc. Document tracking is one of the most critical parts of post-closing that starts after loan closure. The trailing documents usually include assignments, tax deeds, tax records, assumption agreements, Uniform Commercial Code (UCC) records, judgments, etc. We ensure all such documents are kept together and are easily accessible, as and when required for further processing. Followed by the mortgage loan closure, as part of our auditing process assisting, we review all insurance, reserve, and tax requirements. We check if there are any problems and ensure that you have met all tax obligation conditions. We review the insurance policy and other policy documents to look for errors or any discrepancies that may have crept in as well. Why Choose Outsource2india for Mortgage Post-closing Support? Outsource2india has been providing assistance with mortgage services for over 20 years now to clients around the globe. Having served clients from a plethora of verticals and domains, we understand various businesses and their business models very well and provide our services as per their requirements. With mortgage rules and regulations being revised regularly it becomes difficult for lenders and borrowers to stay updated. With our help, though, not only can you stay updated with the latest developments in the mortgage industry, but also service your customers in a fast and time-efficient manner. If you have any kind of mortgage post-closing support requirement, feel free to get in touch with us and we will be glad to help you out.